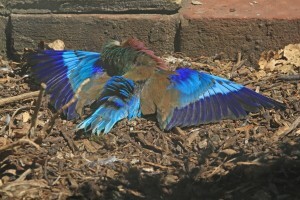 Many parrot species are featured in this astounding attraction, founded by the Harvey family. 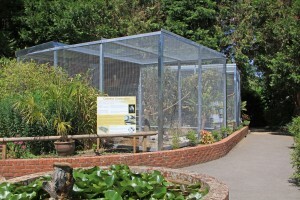 Some 2000 species of birds and mammals are featured in total, many in landscaped and themed areas such as the Seashore Walk, the Temperate House and the Outback Landing. The Jenny Wren Farm allows children to get up close and personal with fascinating small farm animals, while the adjacent Underwater World includes many aquatic species. There are two groups of penguins, and flying displays featuring several species of birds, including parrots, are held whatever the weather. 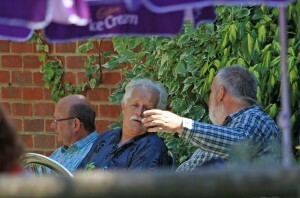 Last year's Away Day was held on a hot and sunny Sunday 15th July, with several loyal members arriving in spite of the heat and World Cup and Wimbledon tennis finals! This year's event will be on Sunday 21st July 2019.